I love them, especially if they are dipped in chocolate. I came across this super easy recipe for making some. These are perfect for an everyday cookie to keep in the cookie jar, or fancy enough to put in a pretty package and give as a gift. I'll be giving some at Easter for sure. The recipe calls for very few ingredients, so use the best available. I buy the sweetened coconut from the bulk foods section of my grocery store. It's much fresher than the coconut in packages. 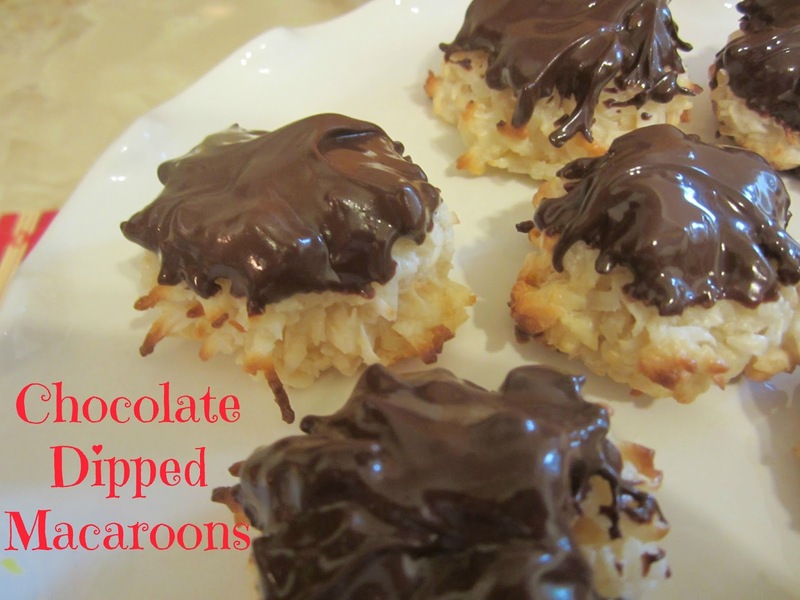 You can also use white, or milk chocolate to dip the macaroons in. I used dark chocolate this time. Preheat oven to 350 degrees. Grease a large cookie sheet. In a large bowl, stir together flour, coconut, and salt. Add condensed milk and vanilla; stir until well combined. Drop batter by tablespoonful, 1 inch apart, onto prepared cookie sheet. Bake 15 minutes or until just golden on bottoms. Transfer to wire racks to cool completely. 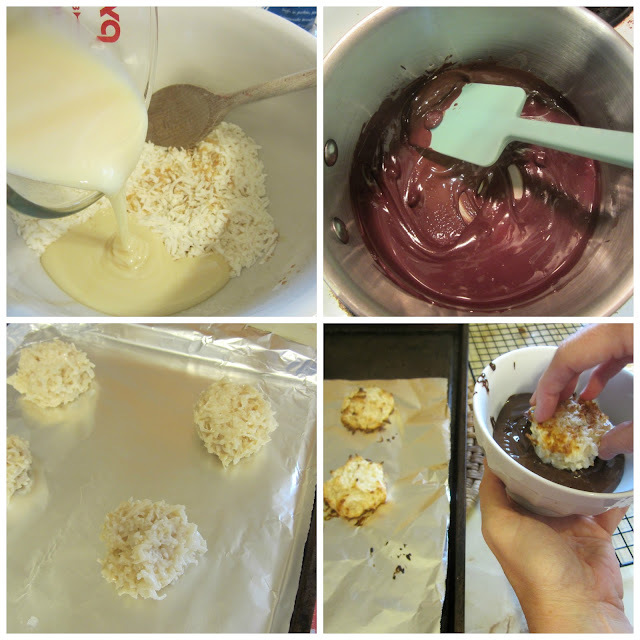 When cookies are cool, dip top halves into melted chocolate. Let stand until set.